Japan is poised to celebrate the Imperial succession and the start of a new era on May 1 with a festive extra-long 10-day Golden Week from April 27 through May 6. The string of consecutive holidays, at first glance, appears to be a miniature spring break for children out of school and a summer and winter vacation merged into one for employees who get permission to go. More people will be traveling, eating and shopping during the break, which is expected to benefit businesses. But it is also expected to be a headache for traders in Japan who are concerned the prolonged shutdown of Japan’s financial markets will unsettle the yen. Here is a look at how the rare 10-day break could impact businesses and people’s daily lives. What prompted the government to set up a 10-day Golden Week? It is intended to create a celebratory mood for the Imperial succession, which will see Crown Prince Naruhito ascend the throne on May 1 the day after his father Emperor Akihito abdicates. The annual holiday period dubbed Golden Week normally starts at the end of April and lasts through early May, with some normal working days interspersed throughout. This year, however, most of the days fall on a weekend or national holiday. Starting on April 27 (Saturday), Golden Week will include April 29 (Showa Day), May 3 (Constitution Day), May 4 (Greenery Day), May 5 (Children’s Day) and May 6 (a substitute holiday). That only left April 30 and May 1 and 2 as working days. Therefore the Diet enacted a law in December to designate May 1, enthronement day, as a one-off holiday this year. Since the holiday law stipulates that a weekday sandwiched between national holidays automatically becomes a public holiday, the entire span from April 27 to May 6 became a consecutive 10-day holiday. Why are investors and traders concerned? Because the extra-long Golden Week will cause Japan’s longest stock market shutdown ever, which is expected to cause more turbulence than usual when it reopens on May 7. The Financial Services Agency issued a statement warning market participants to be aware that stock prices might fluctuate and trading volume may substantially increase if major market-moving events occur during that time. Hideo Kumano, executive chief economist at Dai-ichi Life Research Institute, said many are concerned that currency trading will become volatile during the long holiday because Japanese traders will either be absent or fewer in number. He recalled the Jan. 3 flash crash this year, when the yen soared nearly 4 percent against the dollar in a matter of minutes after Apple Inc.’s earnings warning triggered stop-loss sales of the dollar in thin trading on the last day of the New Year holidays in Japan. Will the longer holiday benefit businesses? Yes, especially those in tourism-related industries, such as travel agencies, hotels, restaurants and airlines. 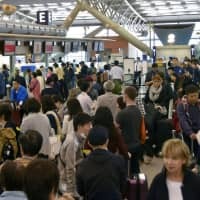 Dai-ichi Life Research Institute estimates the extra long Golden Week will push up domestic travel by ¥332.3 billion, or 28.9 percent, to ¥1.48 trillion compared with ¥1.15 trillion last year. 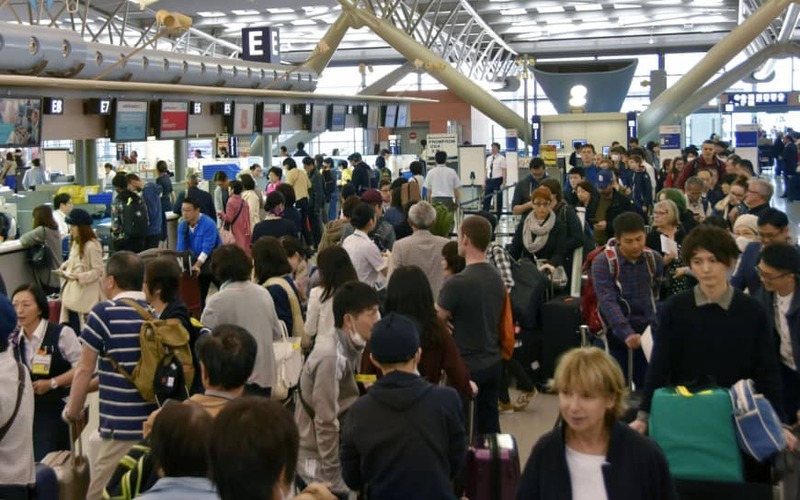 JTB Corp., the nation’s leading travel agency, projects that around 24.67 million people will be travelling in Japan or abroad during Golden Week and spend around ¥1.06 trillion between April 27 and May 6. JTB spokeswoman Risa Ogata said more people than in 2018 apparently want to take advantage of the extended holiday. According to a recent online survey conducted by Synchro Food Co., a research company for the food and beverage industry, 63.6 percent of restaurants and other eateries plan to operate as usual during the extended Golden Week. Furthermore, 17 percent said they would operate even on their regular holidays during the period, according to the survey, which was conducted in March and is based on answers from 442 respondents. Is it all cheery news for those businesses? No. Increased demand may lead to problems securing manpower. One izakaya (Japanese pub) chain in Aichi Prefecture cited in the online survey said it was worried that sales will drop if they fail to secure enough part-time workers for this year’s special Golden Week. Will the banks be closed? Yes, but their ATMs will remain in operation. Kumano of the Dai-Ichi Life Research Institute believes that since the banks will be closed, more people than usual are likely to line up to withdraw cash from ATMs before Golden week begins. Will there be any impact on hospitals and their patients? Some medical institutions plan to accept patients during the holidays but many small clinics are expected to close. According to a survey by Global Health Consulting, around 85 percent of the 123 hospitals that responded across Japan said they will provide outpatient services or consider staying open during Golden Week. But 8.9 percent said they will be closed throughout the entire period, with another 6.5 percent considering doing the same, the survey said. Of the 110 hospitals that will partially be open, 69.1 percent said they would be open for just two or three days. In Tokyo, for instance, Juntendo University Hospital has announced it will be open on April 30, May 1 and May 2 for outpatients but accept emergency patients 24 hours a day. Tokyo Metropolitan Hiroo Hospital will also accept outpatients on those days. The decisions came after the Health, Labor and Welfare Ministry in January urged prefectural governments nationwide to ensure emergency medical treatment and access to health services will be available during the extended holidays. The ministry urged medical institutions to prepare intensive care units for situations in which they need to send patients elsewhere if no beds are available, as well as to set up a system to secure adequate supplies of medicine. Municipalities nationwide are rushing to update their websites on which clinics and pharmacies will be accessible during the holidays. It is worth noting, however, that those who decide to undergo checkups during this special edition of Golden Week might incur an additional fee.